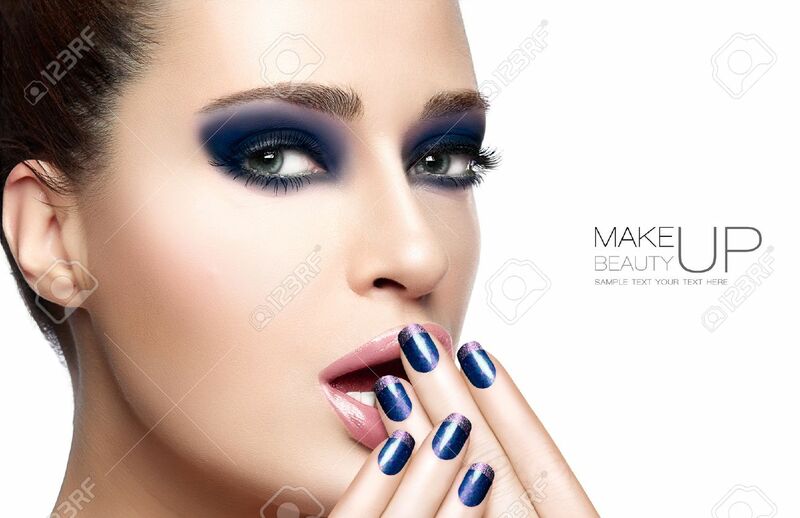 Beauty And Makeup Concept With Beautiful Young Woman With Hands On Her Face Covering Mouth. Perfect Skin. Trendy Nail Art And Makeup. Close Up Portrait Isolated On White With Sample Text Фотография, картинки, изображения и сток-фотография без роялти. Image 44701709.